For optimal activity of one's dog there are lots of supplies and possibilitys. I will present you here this dogsports I'm practicing with my Cockers. I would like to mention, that not every dog has same enthusiasm on everything or that not every dog can go for every type of activities. Important is to find out, which activities the dog like most. Latest when you found this out, you will see, that your dog is putting in his heart-blood and they show this very clearly than! 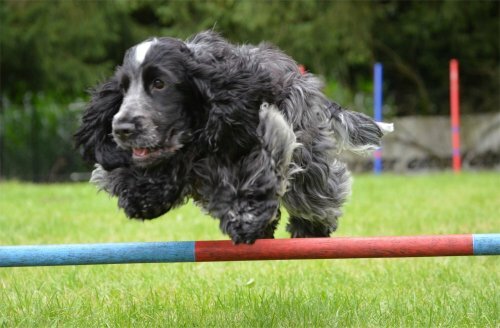 Probably there is no other kind of dogsport where interaction between human and dog is more important as in Agility. 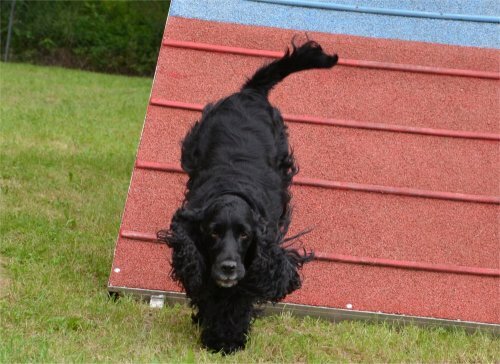 Agility is a very quick dog sport, exacting lots of coordination from human, body sensation and quick reactions, to lead the dog through the parcour with an unvisible leash. A length of 100 to 200 meters with around 20 different impediments (hurdles, bridge, seesaw, slalom, tunnel, scaling wall, tire, ...) should get over as soon as possible without mistakes. 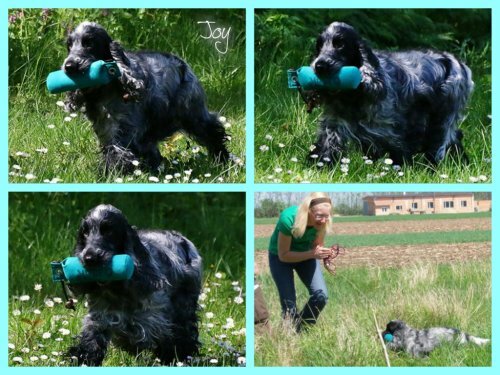 The dog has to pay lot of attention to his owner as he is leading only with gestures and the voice through the exercises. For the dog and his owner Agility is not only a sporty challenge, its also lots of fun. 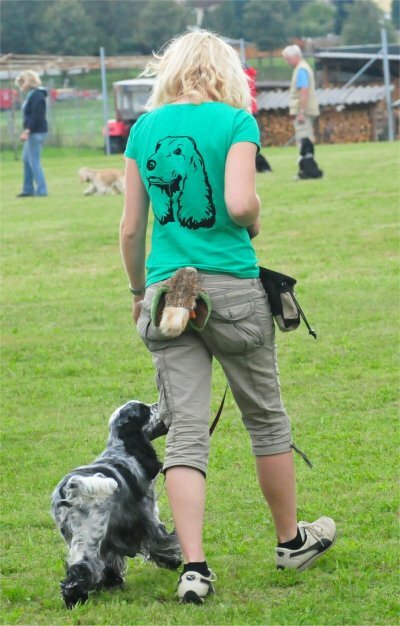 The Companion Dog Sports is more than a leisure activity: It is perfect basicschool for dogs. Finally a dog will be only accepted as pleasant dog from our fellows, when he stands out with obedience and doesn't disturb his environement. And exactly this a dog has to know to pass the companiondogest. He is learning to walk properly with and without the leash next to his owner, gets not destracted by something or someone. He has to sit or lie on commando, and he has to stay on instructed location until owner comes back or retrieve him. 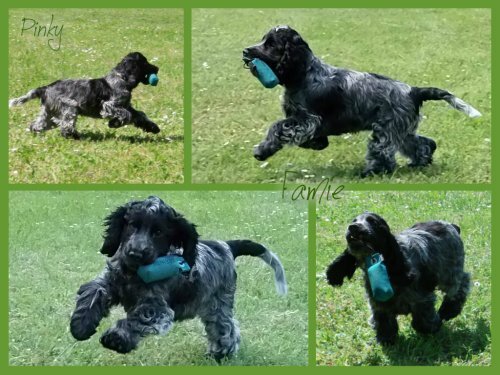 Outside of trainingslocation he will be trained to behave well among many people, to stay cool with joggers, cyclists and to be behave social with other dogs. Too in Obedience the dog has to make different exercises with his owner. It's about execute the exercises exactly. 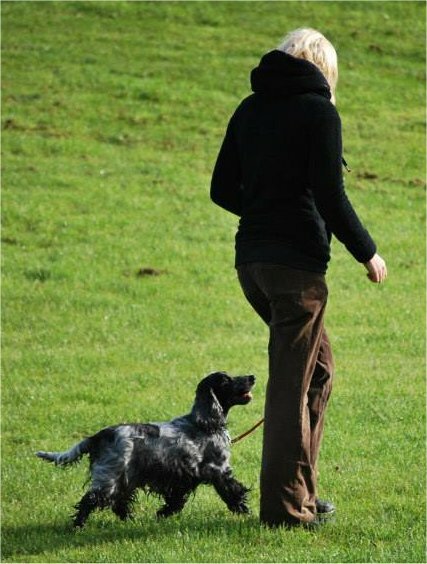 Distancework is a big challenge, where the dog has to obey willingly in a distance to his owner. Obedience-tests are in different classes: Beginner-Class, Class 1, 2, 3. In Beginner-class there are so-called compulsory exercises. There they pay lot attention to test character of the dog. 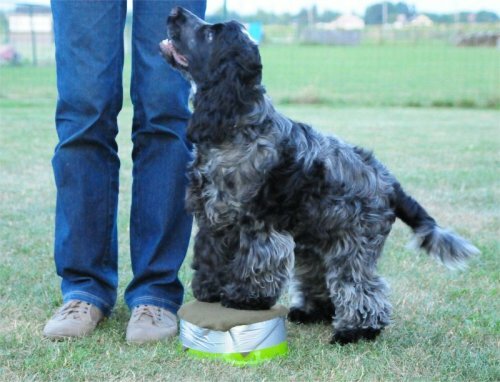 A key advantage compared to companiontest is that dog has to work with pleasure, too the human-dog-team is rated and that you can praise your dog between every shown exercise. 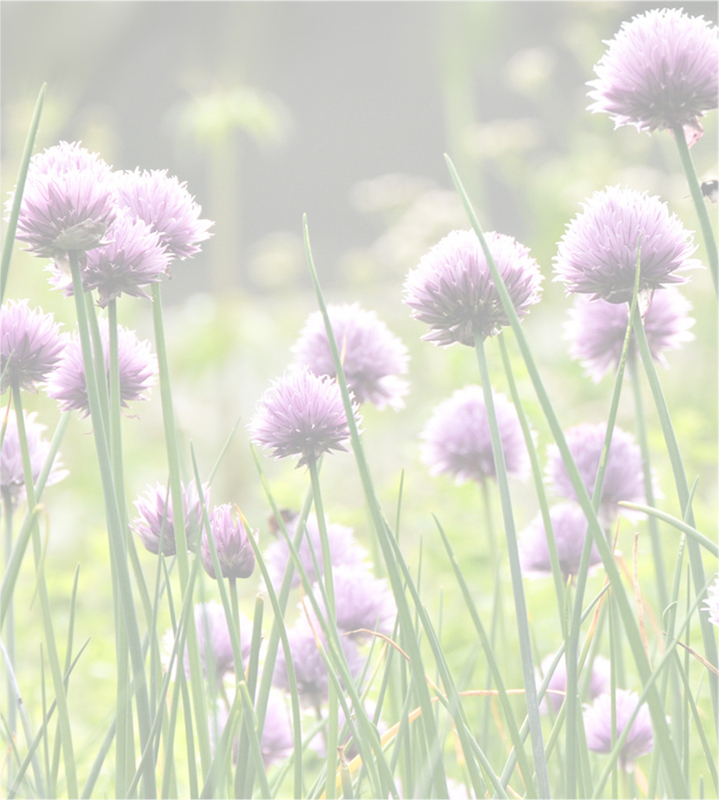 At Mantrailen  humansearch you make use of excellent olfactory performance of the dognose. The dog is searching humans based on their individual odor. The dogowner learns to study his dog precisely, as he is signaling the way with his bodylanguage. 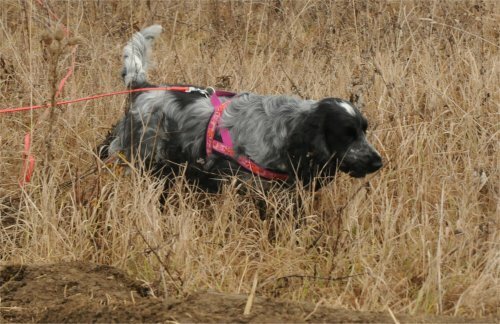 Mantrailing is a wonderful possibility for utilizing the dog of nearly all breeds and nearly every age. A fascinating exciting work, yes the king discipline of nosework - a wonderful concentrating work. 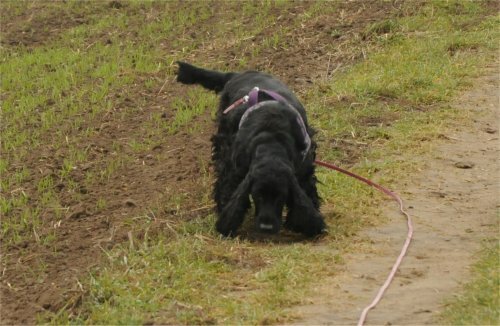 The Cocker Spaniel is a huntingbreed and there his speciality is to retrieve hunted rabbits and birds - the work after the shot. Working with dummies (in the form of linen bags, eventually wrapped in fur) is very similar to natural features of the dog. He can use there is natural investments and too is useful employed. 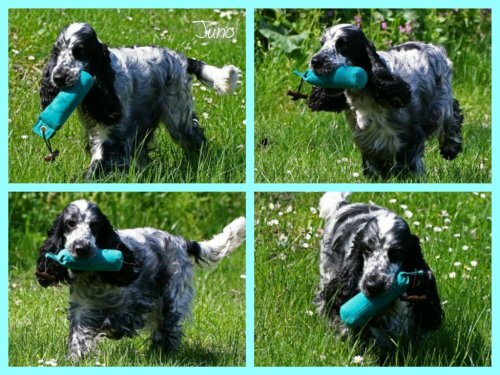 As nearly all hunting situations can be readjust with dummys, working with dummys too achieves an important contribution for preservating the typical workingreatures of the Cocker Spaniel. 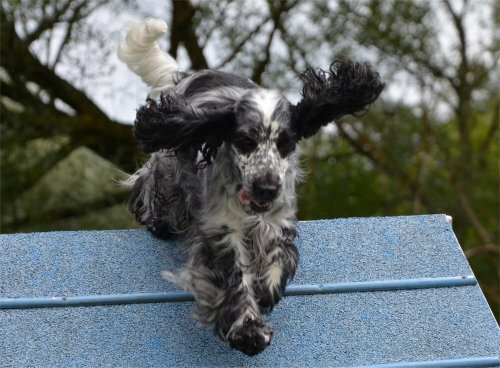 Broad sport is a very varied sport for dogs where it depends a lot of the human-dog-team! 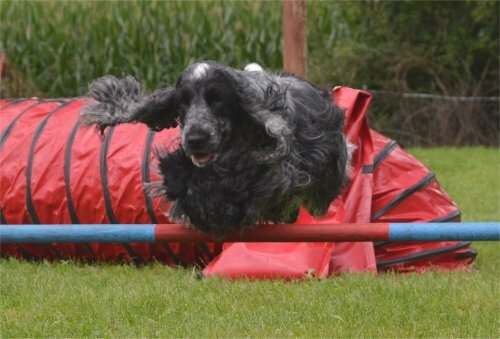 This sport has 4 different parts - one part obedience, a parcour, a slalomrun and a run with hurdles. At tournaments time is important. Here not just the dog has to run and jump ... also his human friend.